The best time to trek to the Gokyo Renjo La Trek is Spring (February to May) and Autumn (September to November). The temperature is moderate in these seasons and guarantees amazing views through the trip. 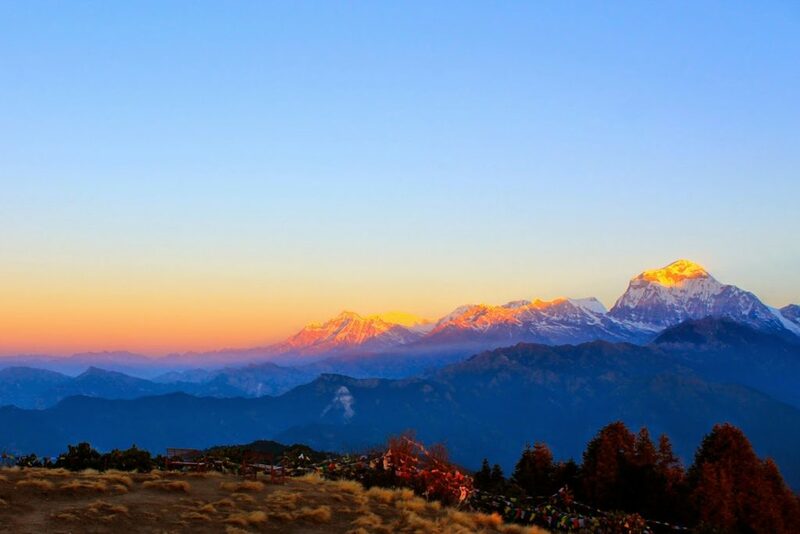 Although this trek can be undertaken during winter, the cold temperature might not be suitable for everyone. Gokyo Renjo-La Pass Trekking is your escape from the mainstream trekking trail to go to Everest Base Camp. 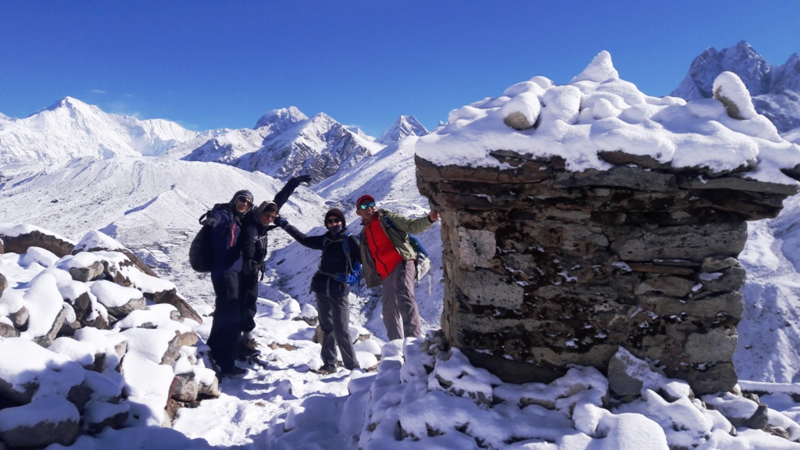 With its own beguiling features on its way, away from the crowd, this trekking experience will give you an exclusive experience in your journey to the Everest Base Camp. 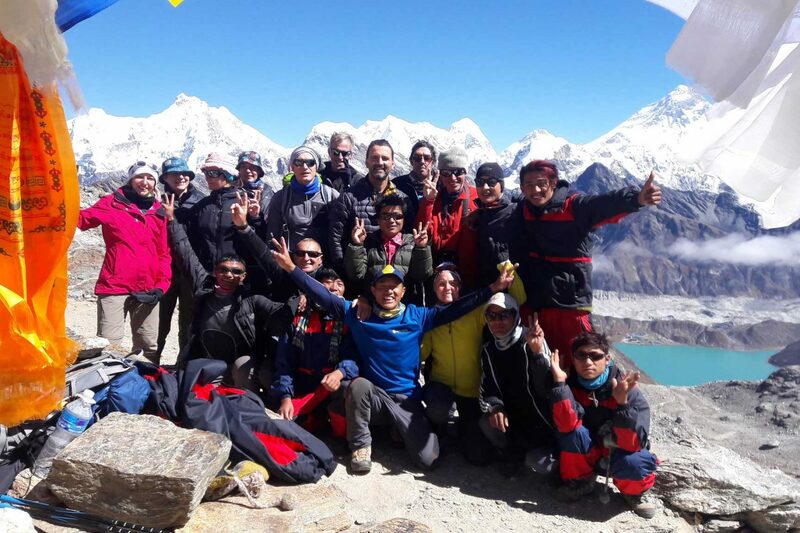 Nepal’s Eco Adventure’s Gokyo Valley Trek along with Thame Valley via Renjo-la pass lets you view the pleasing snowy mountains, Himalayan mountainous landscapes, Terraces, Valleys, Lakes, matchless culture and tradition of the Everest region. 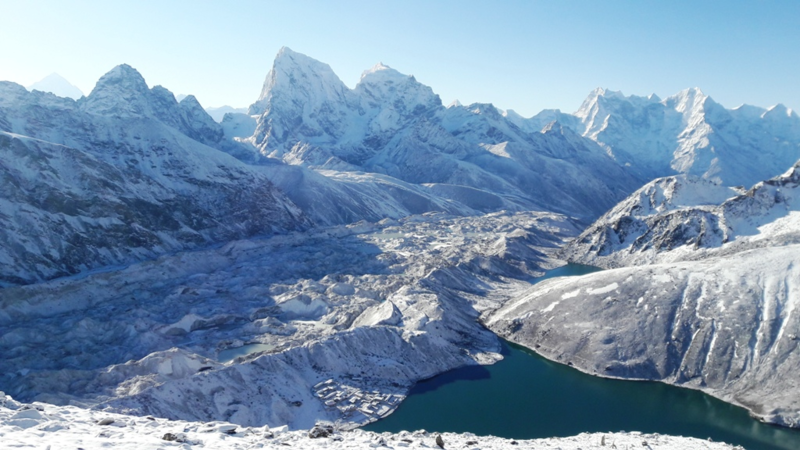 Khumbu region is home to the mighty Mahalangur Himalayan range which encompasses 4 tallest mountains of the world, differentiated by different valleys. We climb the Khumjung hill and descend to the east of the village down the broad valley leading to the Dudh Koshi from where the route turns north. There are two trails and our guide will choose the best option for us to follow. There is a chorten on the ridge top at 3973 m which descends from Mt. Khumbila (5761 m). We visit Mohang, the birthplace of the re-incarnated Lama of Rongbuk Monastery of Tibet who is believed to have introduced Buddhism in the Khumbu region of Nepal. The trail descends in a series of steep switchbacks down a sandy slope to the Dush Koshi. From Phortse Thanga it is an uphill climb to Machhermo. We walk on a trail alongside a rhododendron forest and pass through a waterfall before reaching Tongba Village. We continue our uphill trek and pass through Dhole, Labarma and Luza villages before reaching Machhermo. There is a Chhorten right before the Luza village. Throughout today’s journey we will be walking alongside the Dudh Koshi River. After breakfast, we will continue the trail over the ridge for more exotic views. Majestic Cho Oyu stands tall, right in front of us. Below is the gorgeous view of Khantega gorge, innate. Beyond the edge, the valley extends as trail goes side by side to Pangram at 4390m. We descent down to the riverside, before we climb up to the fetal glacial deposit of the Ngozumpa glacier. Now, after a slightly higher ascent, we arrive at Gokyo, for a night stay.After the Lunche We will also visit and relish the sight of magnetic Fifth Lake and take pictures. Early in the morning, we will conquer 5363m high Gokyo Ri from where we can view outstanding Everest, Cho Oyu, Lhotse, Makalu among others. We will hike to Fifth Lake from where the view of peaks is even better. We will then descent to Gokyo and spend the another night at Gokyo. We gently go uphill over the lush grassy area. The slope progressively becomes steeper and we head for the top. The trek is quite complex as it is very steep. 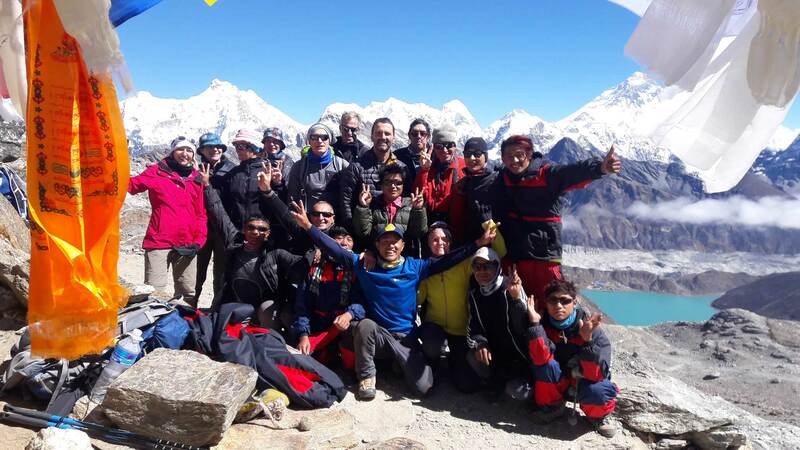 From the top, we can view stunning panorama of Rolwaling, Tengi Ragi Tau Mountains and small Rermo Pokhari Lake to the west and Everest, Lhotse, Makalu, Gyachung Kang and Gokyo lakes to the east. Through DudhPokhari lakes, we trek downhill through the beautiful meadow towards the Bhote Koshi Valley to continue beside the river. Luckily, we will come across yak caravans coming from Tibet heading towards Lungdeng. We will spend the night at Lungdeng. We will trek down to Thame. Situated at 3800m, we will also visit the historic Thame monastery and experience spiritual Buddhist practices. We can also witness the lovely culture of Sherpa people at Thame. We will spend the night here and enjoy the much needed rest for our downhill trek to Namche flowing day. We will continue our trek down the Sherpa villages of Thame, leaving the mountains in the backdrop. We will walk down to the village of Namche bazaar, epitome of Sherpa culture. We will stay the night at a guest house in Namche. Early morning, we will catch a plane from Lukla to Kathmandu. Don’t forget to pick a seat on the right side, to see the insatiable mountains again. On reaching Kathmandu, you will be escorted back to your hotel.